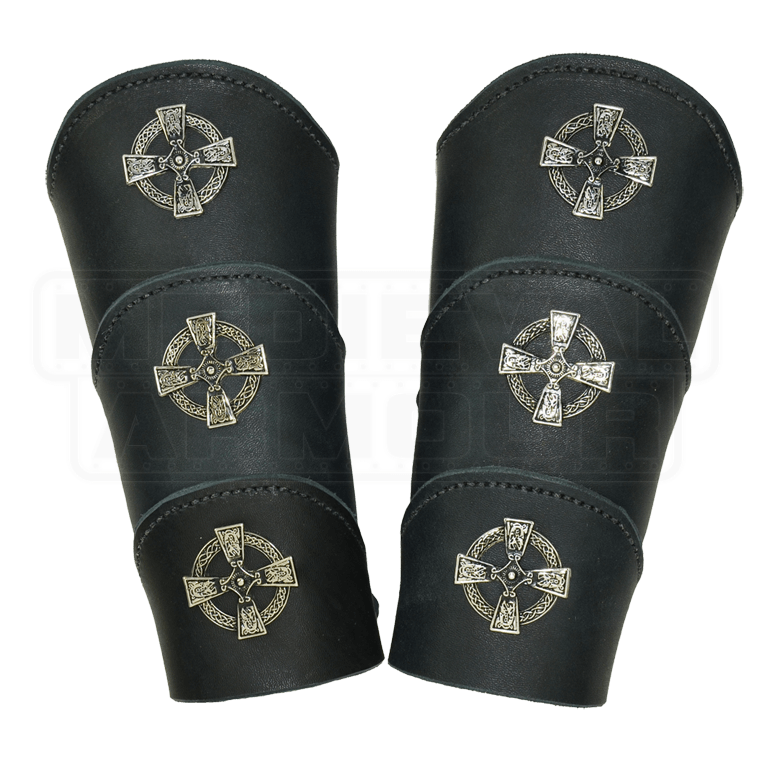 Our Celtic Warrior Arm Bracers combine a flattering shape with great comfort and functionality. With three segments that are sewn together, the gentle curves on each segment creates a wonderful look when the bracer is laced up. Each segment features a beautifully detailed Celtic Cross decorated with Celtic Knotwork. These bracers are crafted from medium weight 7/8 oz. leather and are perfect for light re-enactments, LARPing, theater, Ren fairs, and costumes. If you need these in a thicker leather for SCA please call for more info. 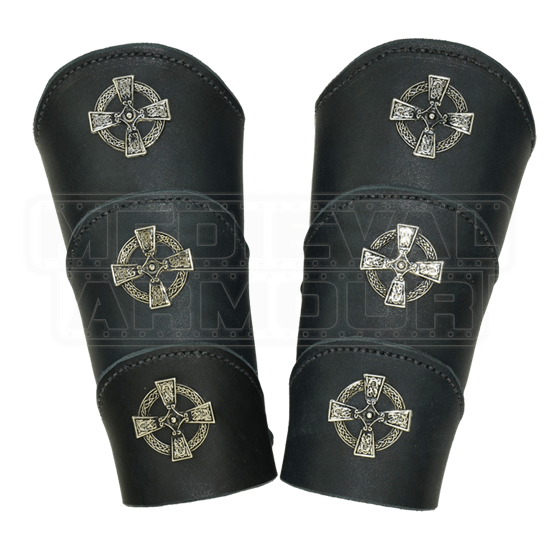 Our Celtic Warrior Arm Bracers are sold as a pair and have a lace up closure. A set of leather laces are included.